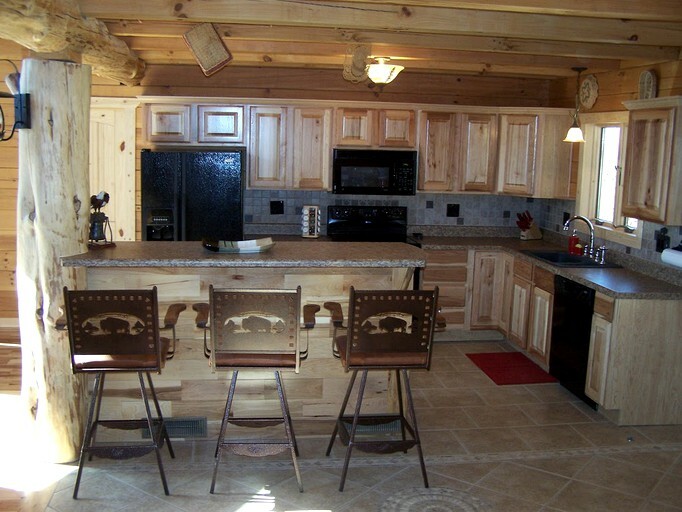 This luxury pet-friendly log cabin has wood chic yet modern decor throughout. 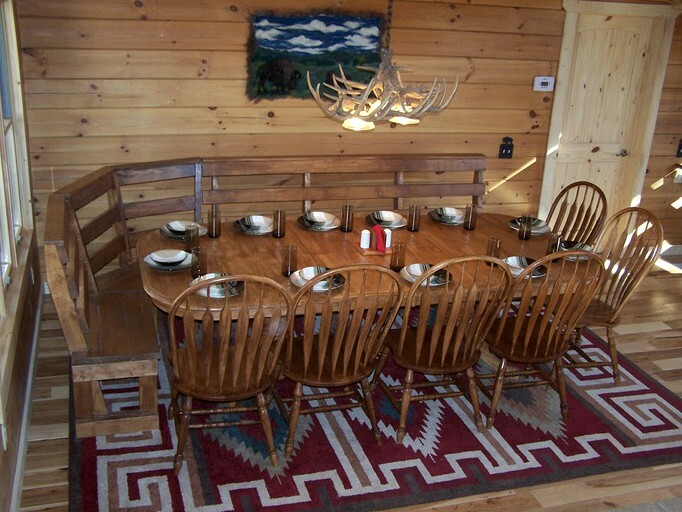 The cabin sleep up to 14 guests in four bedrooms and three bathrooms. 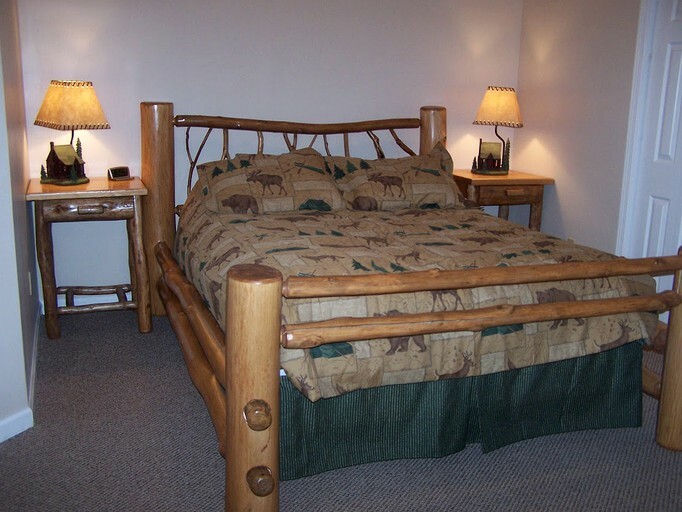 There are two master suite rooms with king bed jacuzzi baths. 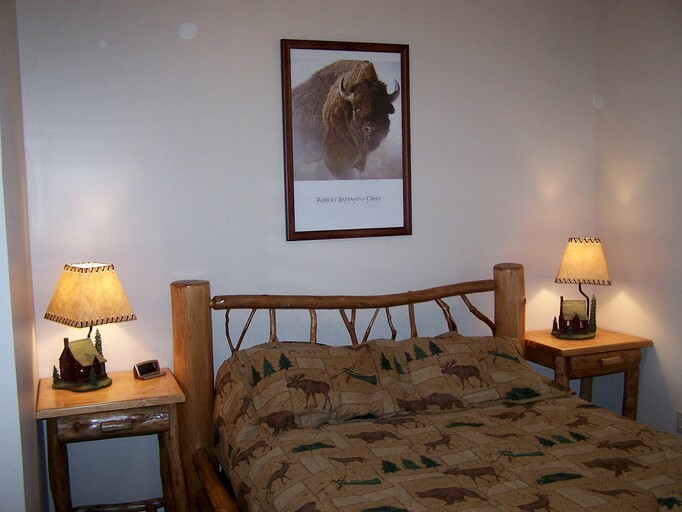 The third room has a queen bed and the fourth bedroom has a twin over full bunk bed and an additional twin wagon style bed. 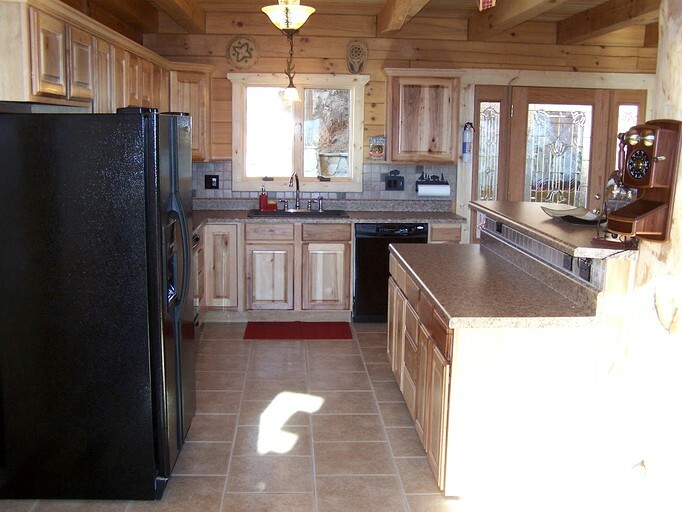 Guests at this pet-friendly cabin will have a fully equipped kitchen complete with a breakfast bar. 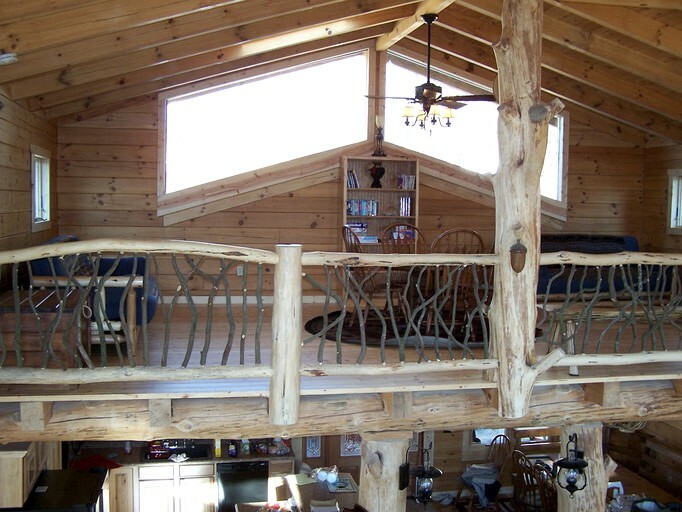 The tall ceilings in the living room offer a lovely open space to relax. 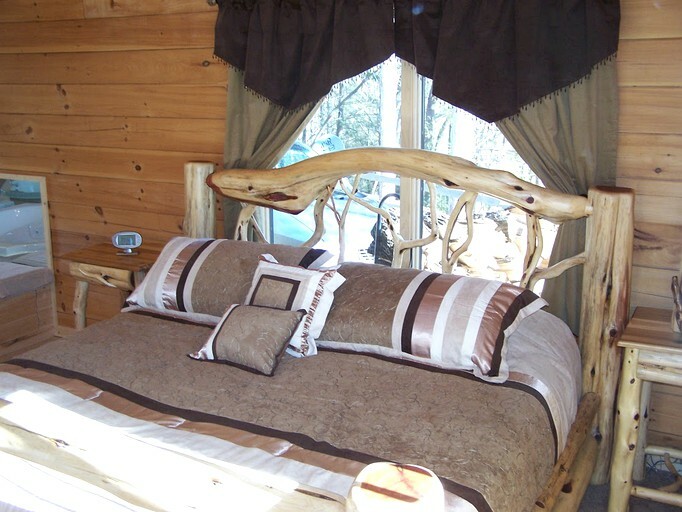 Here guests will have a satellite TV and DVD player. 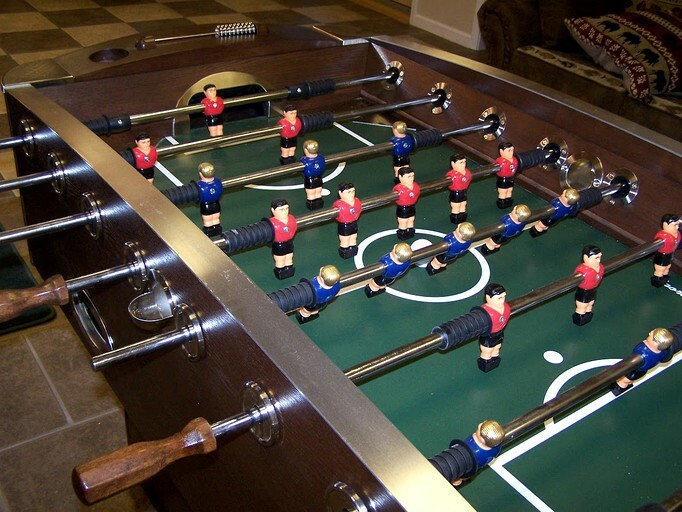 Also in the cabin, there is a pool table, air hockey, foosball, a ping pong table, and a life-size chess set, so guests will have plenty to entertain them. 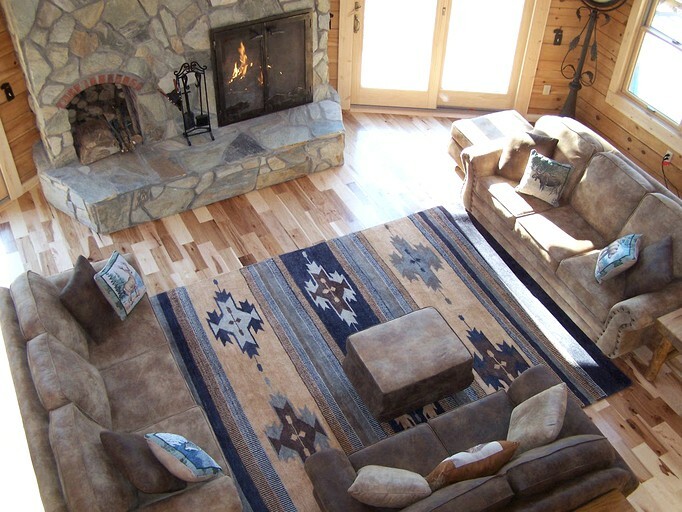 Facilities here include a private hot tub, Wi-Fi, two wood-burning stone fireplaces and central air conditioning. There is a fire pit outside for roasting marshmallows, a full-size washing machine, and dryer, as well as a charcoal grill. Kids will enjoy the large playground and horseshoe pit on site. 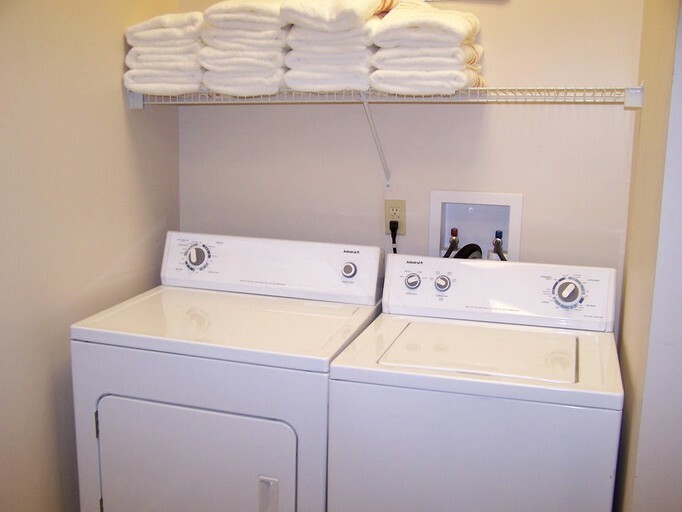 This host will provide two sets of towels per person, sheets, trash bags and three rolls of toilet paper per bathroom. In the kitchen, there is dish-washing detergent, salt and pepper and other spices offered, as well as hand soap. 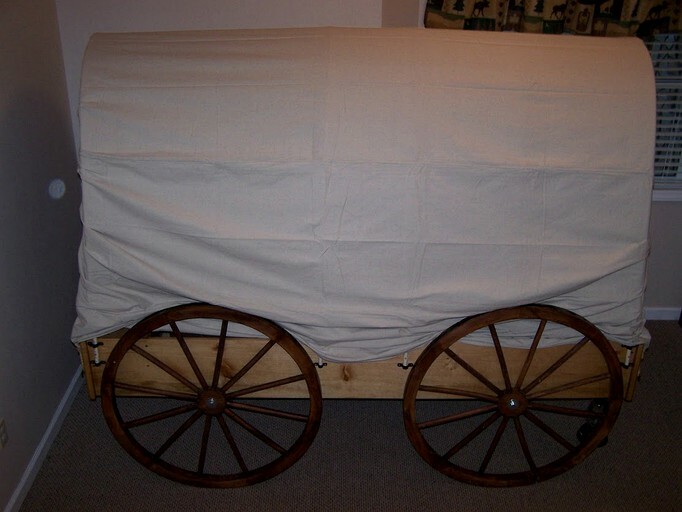 Guests will also be supplied with free firewood. 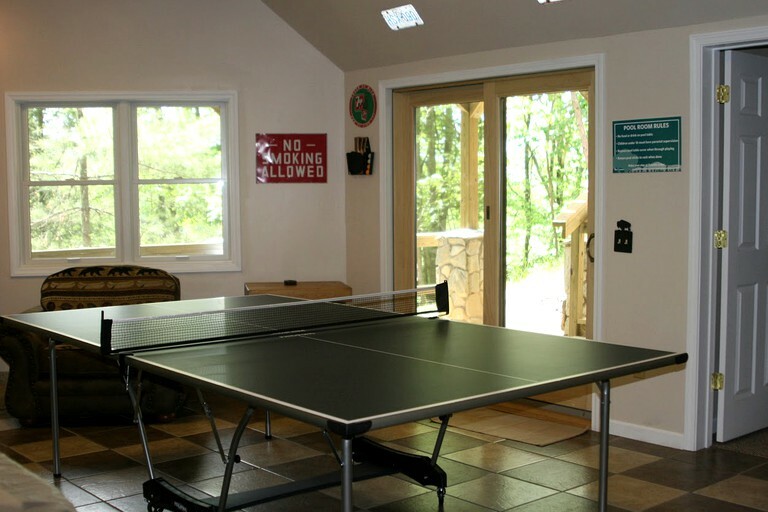 If glampers are looking for a quiet “get away from it all” retreat, this is certainly it! 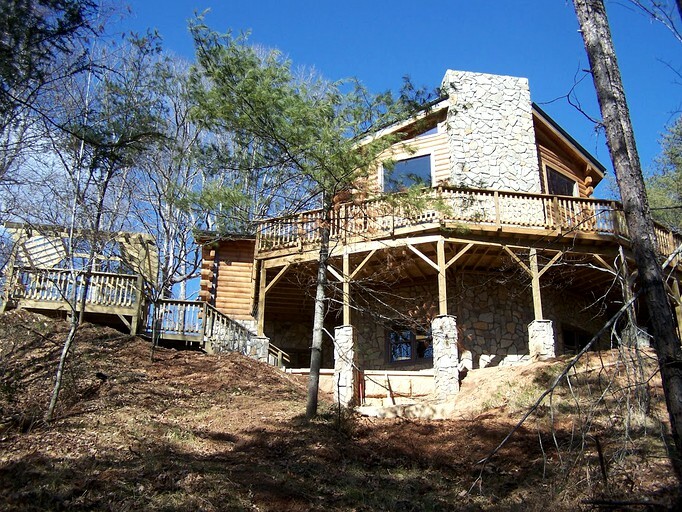 Enjoy long hikes on the property, fishing within walking distance from the log cabin on The Pigeon River or take a trip into town to do some shopping or antiquing. 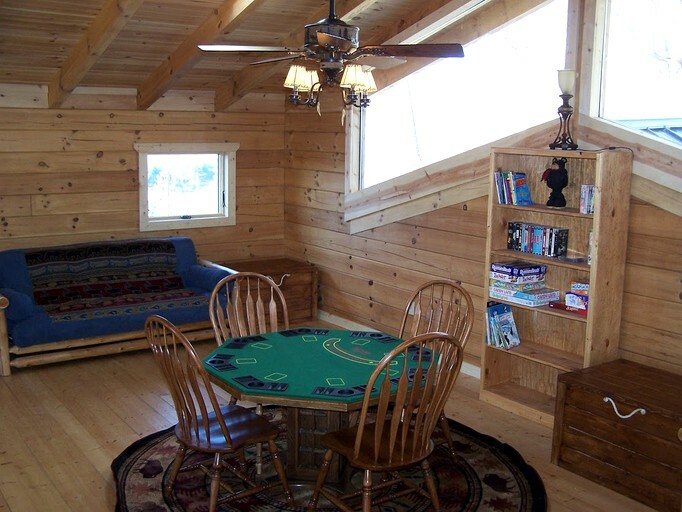 Children will love a short hike through the woods to the play area, The BC Corral! This custom designed area has everything from swings, a zip line, slides, a teeter totter, cargo nets, a rock wall and even a horseshoe pit for the adults! The kids will certainly love it here. In the summer, enjoy hiking to waterfalls, biking, fishing, white water rafting, horseback riding and even gem mining. Kids will love a train ride on the Great Smoky Mountain Railroad. In the fall, drive along the beautiful Blue Ridge Parkway and take in a breathtaking display of fall colors! Spring is a great time of year! As guests are visiting at this time, they will not be disappointed with a visit to the Biltmore Estate to see Biltmore Blooms! The gardens, designed by renowned landscape architect Frederick Law Olmsted, come to life with wave after wave of gorgeous blooms. 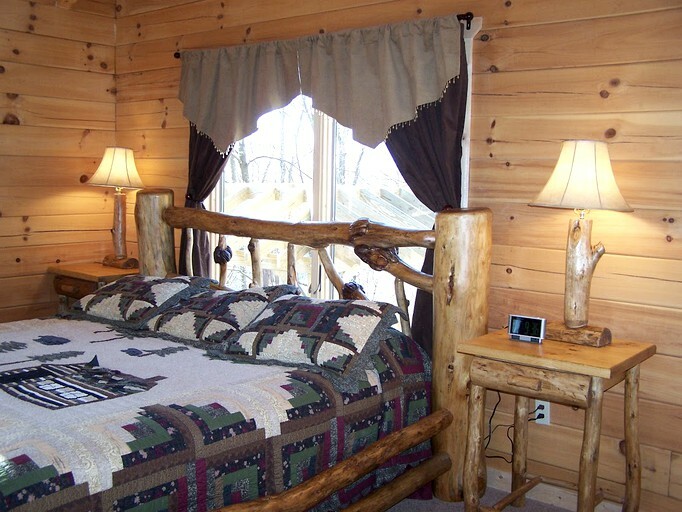 Lastly, nothing says winter like curling up in a beautiful log cabin with a cozy fire crackling in the background. The adventurous types can hit the slopes at Cataloochee Ski Area—just 20 mins away. 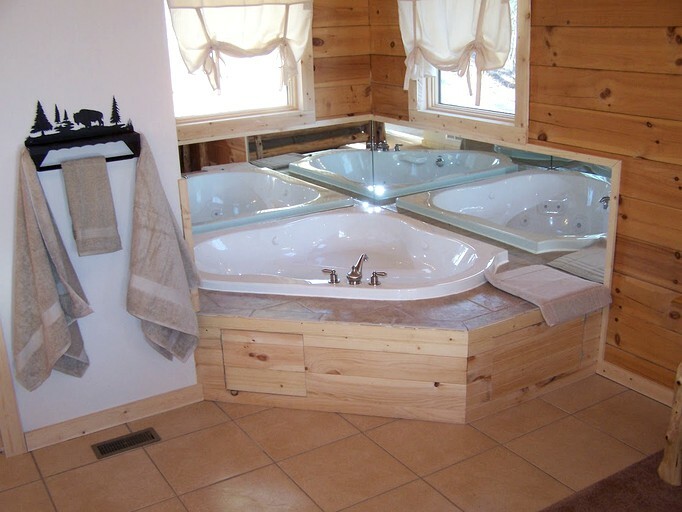 Guests surely will enjoy the therapeutic outdoor hot tubs when returning to the cabin. Also, kids will always remember a trip on the Polar Express Train Ride. 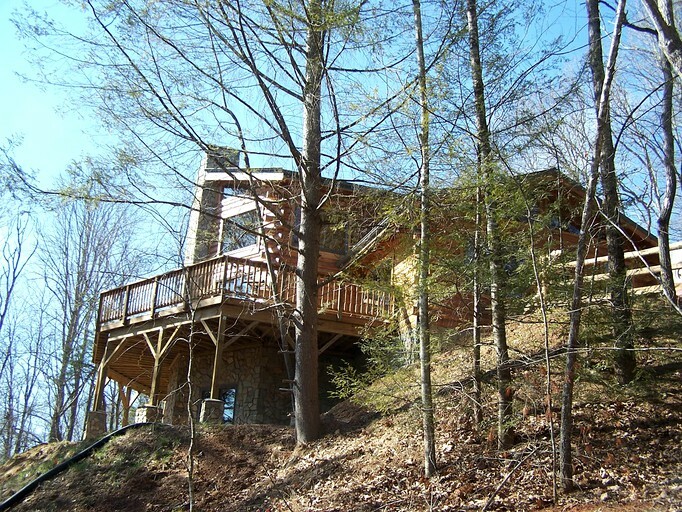 This property will not rent to vacationing students or singles under 25 years of age, unless accompanied by an adult guardian or parent.